Joe Shannon is credited with being the first settler in the area. A cattleman and cotton grower, Shannon built his home south of Caney Creek in 1887. In 1900 Shannon donated land to a group of Mormons so they could build a church. 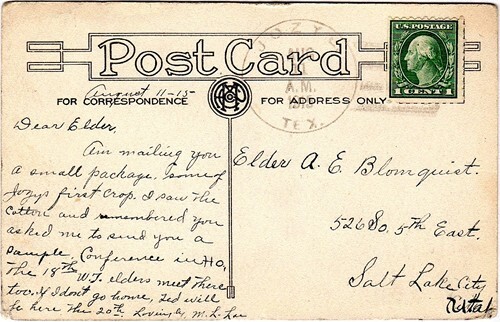 In gratitude, the Mormons initially called the congregation Shannon and later Utah or Little Utah. But both town and congregation were soon called Jozye. 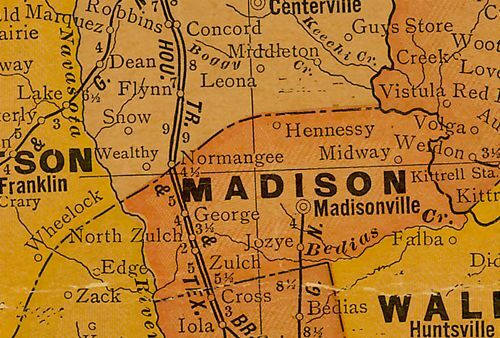 The Great Northern Railroad extended its line from Navasota to Madisonville in 1903 coming close enough for the town to move to the tracks. A post office was granted under the name Jozye which made it easier for the 25 residents to get mail. The Center School was founded a mile NW of Jozye in 1903. In 1930, U.S. Highway 90 came through the town, but whatever benefit that may have added was offset by the railroad's cancellation of the Navasota - Madisonville in 1943. The post office closed and as late as 1949, Jozye still had only 25 residents. The Mormon congregation broke up in 1957 and moved to either Huntsville or Bryan, Texas. The church building was demolished. 1990 reported a single business at the site. The Jozye cemetery remains but homes are widely scattered.